Metropolis, which will debut in 2019, has received a direct-to-series order for a first season of 13 episodes and will go into production later this year. Commentary: To be honest, when I first saw this announcement, I thought I was looking at The Onion. But then I realized it was DC's homepage, so it was definitely true. As much as I enjoy GOTHAM, Metropolis never really grabbed me all that much as a setting. It's always felt like a real generic city. My favorite part of any SUPERMAN story is Superman and how the other characters relate to him, so I am just not quite feeling the hook here. On top of that, I am just opposed to shows only being available on exclusive digital-only services. I am a huge TITANS and YOUNG JUSTICE fan, and those series aren't enough to convince me to try DC's digital service. Adding in this METROPOLIS series isn't going to put this over the top for me. I genuinely hope that I am wrong here, and METROPOLIS becomes must-see TV and DC Digital is just amazing...but it's going to take quite a bit for them to convince me. 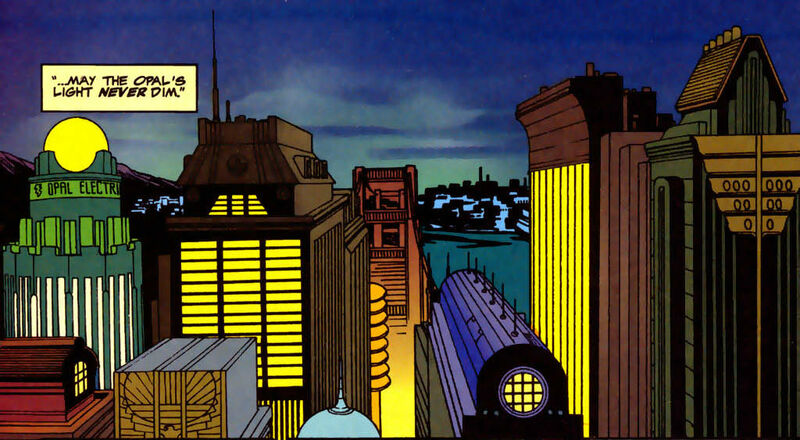 Now that we have GOTHAM, METROPOLIS, and KRYPTON, how about a DC series set in my favorite place...OPAL CITY!